Sweetline Theatre Company is delighted to present David Mamet’s Oleanna from December 4th to the 7th at the Barbara Barrett Theatre at the Arts and Culture Centre. This production is the inaugural offering from newly formed Sweetline Theatre spearheaded by Danielle Irvine. Oleanna will feature Republic of Doyle’s Krysten Pellerin and Steve O’Connell as student and professor in this controversial two hander. 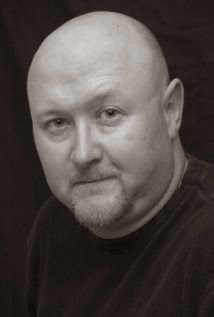 O’Connell portrays John, a university professor on the verge of attaining tenure. 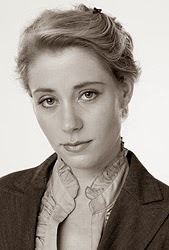 Carol (Pellerin) is a student that is having a hard time grasping the material as presented in his course. Their office meeting to discuss the problematic material eventually leads them in directions they never could have imagined and combine to create a powerful piece of theatre that will have you on the edge of your seat and challenge you to remain neutral. Award winning director, Danielle Irvine, is excited about bringing Oleanna to St. John’s audiences. She has directed theatrical productions of all sizes and types, both in St. John’s and across Canada. Danielle is looking forward to this official launch of Sweetline Theatre. Krystin Pellerin was born and raised in St. John's Newfoundland. She is a graduate of the prestigious National Theatre School of Canada in Montreal. CBC's "Republic of Doyle" has brought her home to St. John's to play the role of Sgt. Leslie Bennett where she often appears with her sometimes nemesis Sgt. Hood, played by fellow Oleanna actor, Steve O’Connell. Oleanna runs in The Barbara Barrett Theatre of the St. John’s Arts & Culture Centre at 8 PM from December 4th to 7th, 2013, with a Pay-What-You-Can matinee 2 PM on December 7th. Admission is $27; $22 for students and seniors; and can be booked at 729-3900 or online at www.artsandculturecentre.com.